This exclusive design was created by Jennifer Bosworth and features all of the Blessings of Spring: tulips, daisies, ladybugs, a birdhouse, a gardening angel, and more! 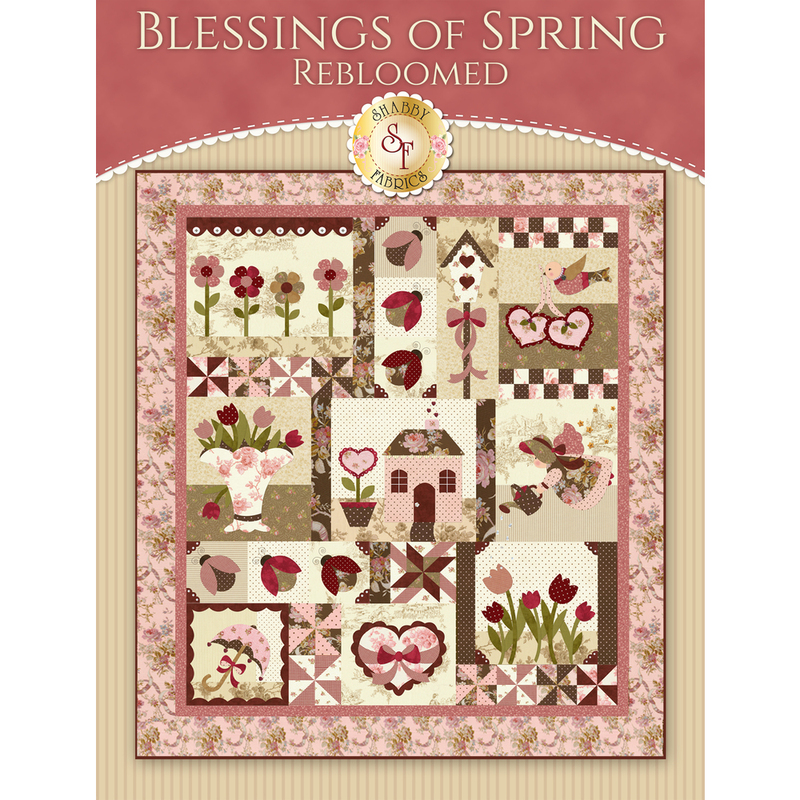 There were some changes made from the original Blessings of Spring pattern, making this version just a bit simpler but just as beautiful. Quilt measures at 56" x 62". Traditional applique and hand stitched with silk thread!